I’ve always liked that phrase “make lemons out of lemonade” – to me it is a call to creativity and making the best out of a bad situation. I’m also a fan of creative ways of making the actual lemonade drink, and am partial to fortified lemonade these days, as part of my current love affair with cocktails. There are two boozy lemonades I particularly love these days. First, is the LIC Lemonade at Alobar. I’ve had it a couple times now and I think it’s fab. It’s made with vodka, candied lemon, and clove honey. It’s light and perfect for brunch, though it’s also good with dinner. Alobar also makes another one of my favorite cocktails in the area, the Quince Cooler – it has a lemon element to it along with gin, elderflower, and membrillo (quince paste). 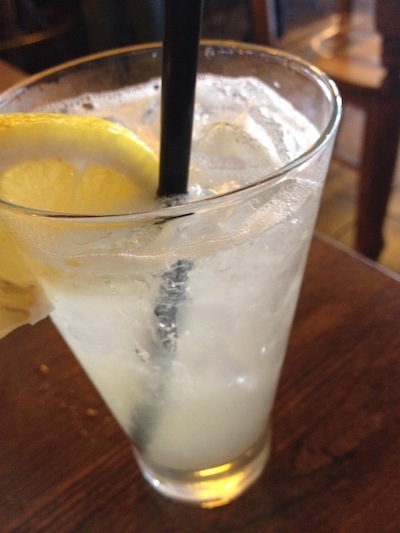 The second lemonade cocktail is the Sicilian Lemonade at Via Trenta. I love how tart this cocktail is. 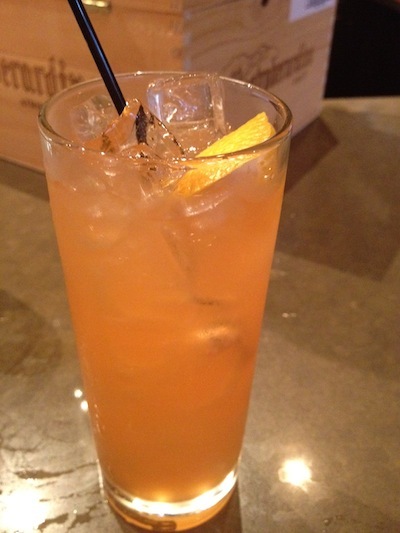 It’s made with Ketel One Oranje (vodka), limoncello, Aperol, fresh lemon juice, rum, grapefruit bitters, orange, lemon, and brandied cherries. It’s a gorgeous color, too, thanks to the magical Aperol. I’m so happy to have gotten to a point in my life where I like cocktails – a great cocktail is a joy to drink. 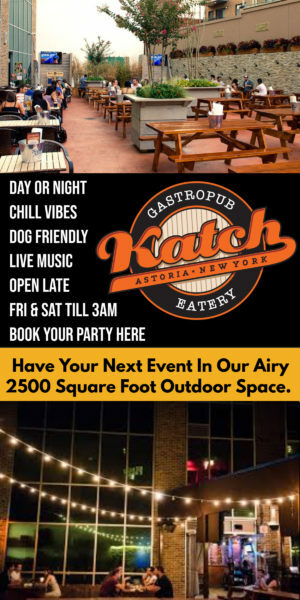 Where do you liked to have good cocktail in Astoria/LIC? 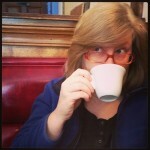 Meg Cotner was trained as a harpsichordist and now works as a freelance writer and editor. 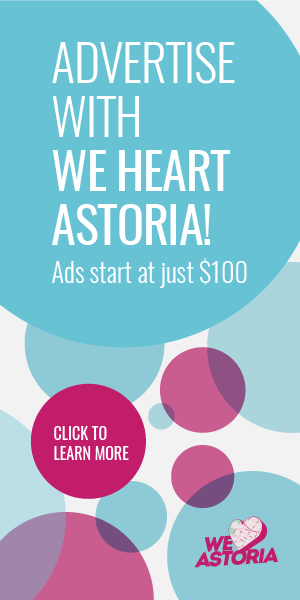 She is the author of "Food Lovers' Guide to Queens," and is a skilled and avid home cook, baker, and preserver.